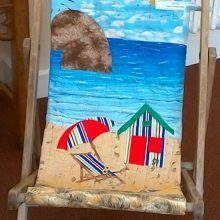 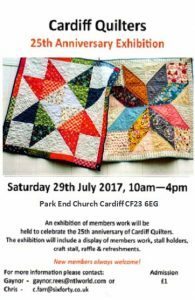 Our 25th Anniversary Exhibition Was held at Park End Church on Saturday 29th July. 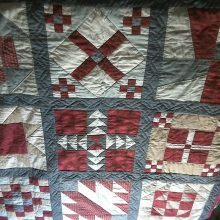 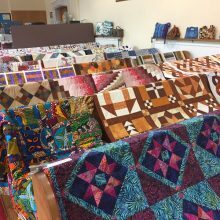 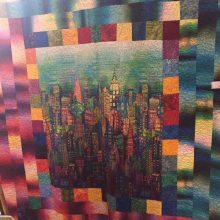 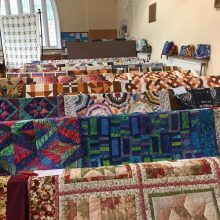 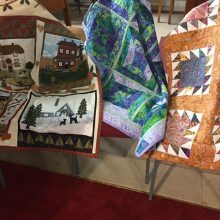 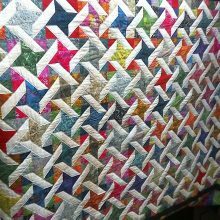 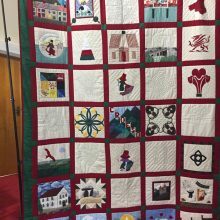 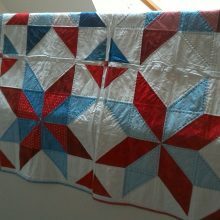 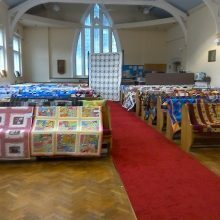 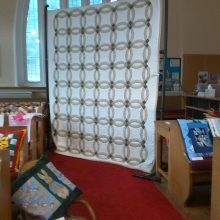 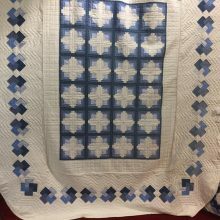 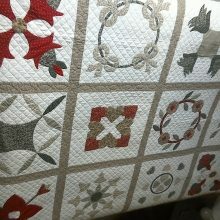 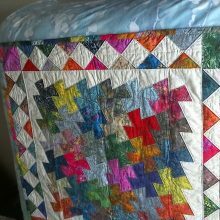 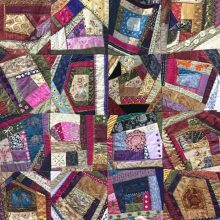 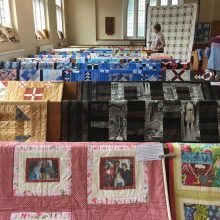 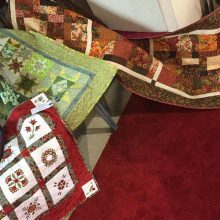 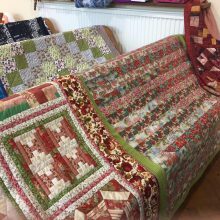 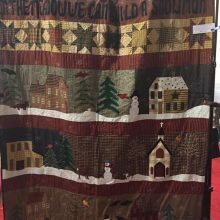 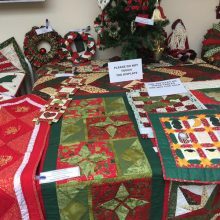 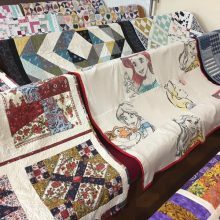 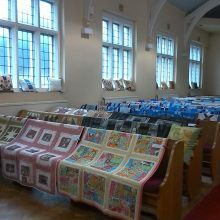 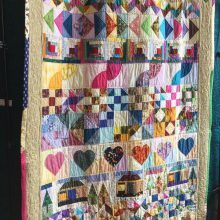 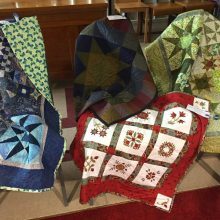 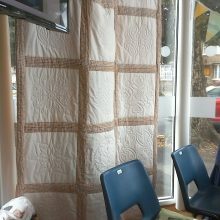 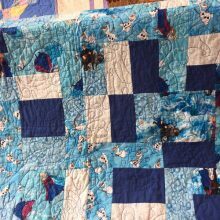 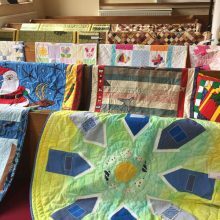 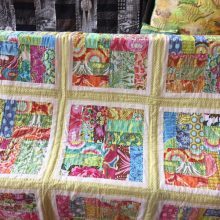 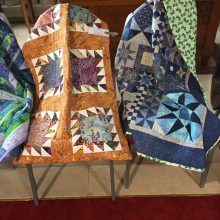 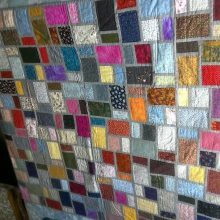 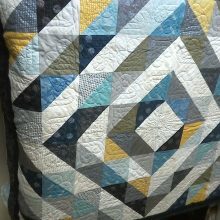 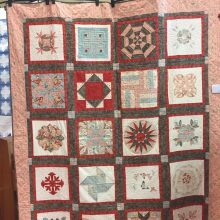 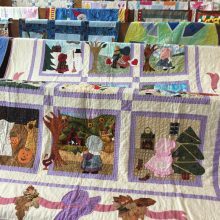 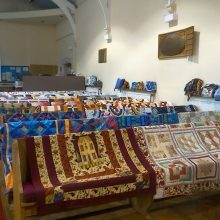 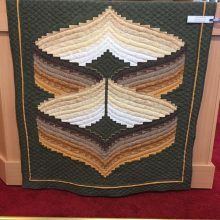 There were lots of quilts all made by our members on display. 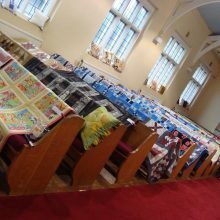 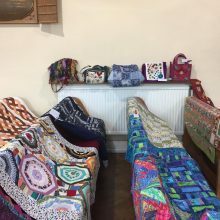 Beside the stands holding quilts we had all the pews covered with quilts, cushions and bags. 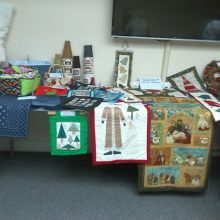 We had a stand of things made for Christmas and workshop projects on display. 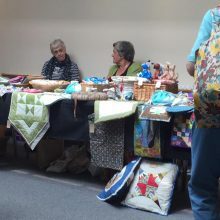 We had an absolutely fantastic craft table with many beautiful items for sale all homemade by our members. 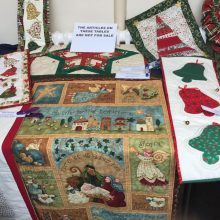 Bobbins of Brecon, Pelenna Patchwork, and our own Chris Gray of Mabon Arts were our traders. 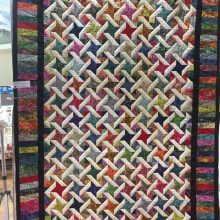 The entrance programme gave you a lucky number to win a beautiful quilt and the lady who won it was thrilled and delighted. 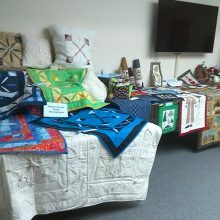 With homemade cake and sandwiches and pasties on sale many visitors stayed for lunch, and were amazed at the number and quality of quilts that were on display. 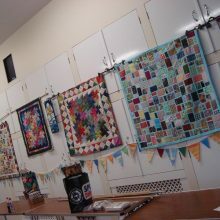 Many our members stayed the whole day and thoroughly enjoyed chatting with visitors and telling them about our group. 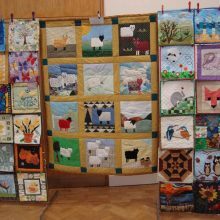 It was a wonderful day and it has been 5 years since our last exhibition but we are hoping to hold them a little more often in future.